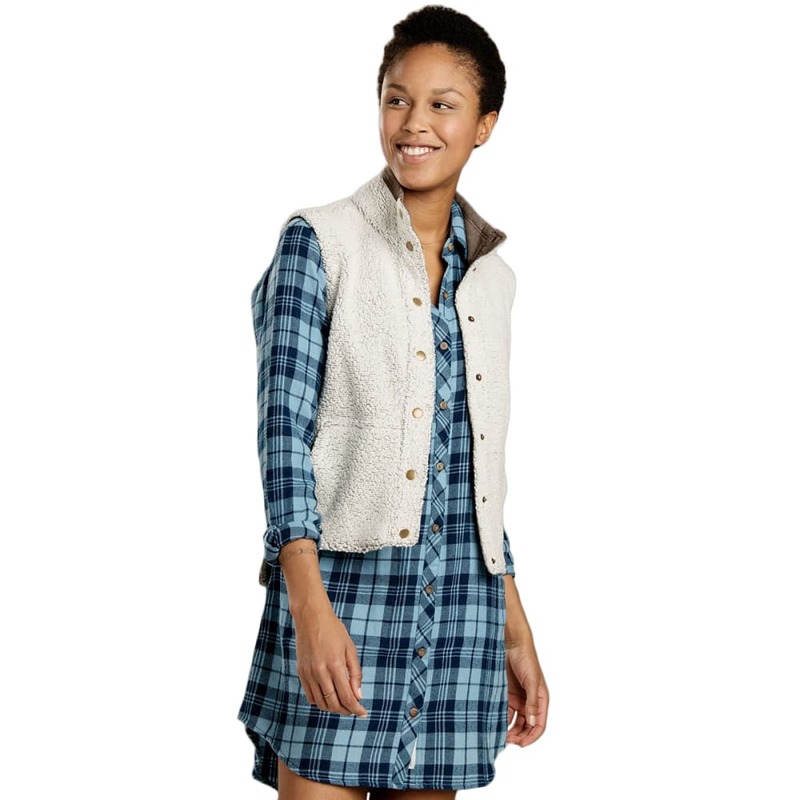 For effortlessly cool layering, the vintage-inspired Sheridan Sherpa Vest suits the mountain and city girls alike. With sturdy snaps, hand pockets, and a blend of recycled Italian wool. Stay cool, girlfriend. Heritage Sherpa Fleece: The Italians are chic, ingenious, and practical. Reclaimed wool from old garments and cutting-room scraps are transformed into beautiful, performance fabrics. The wool is processed using mechanical, not chemical, means and blended with polyester for softness and nylon for strength. 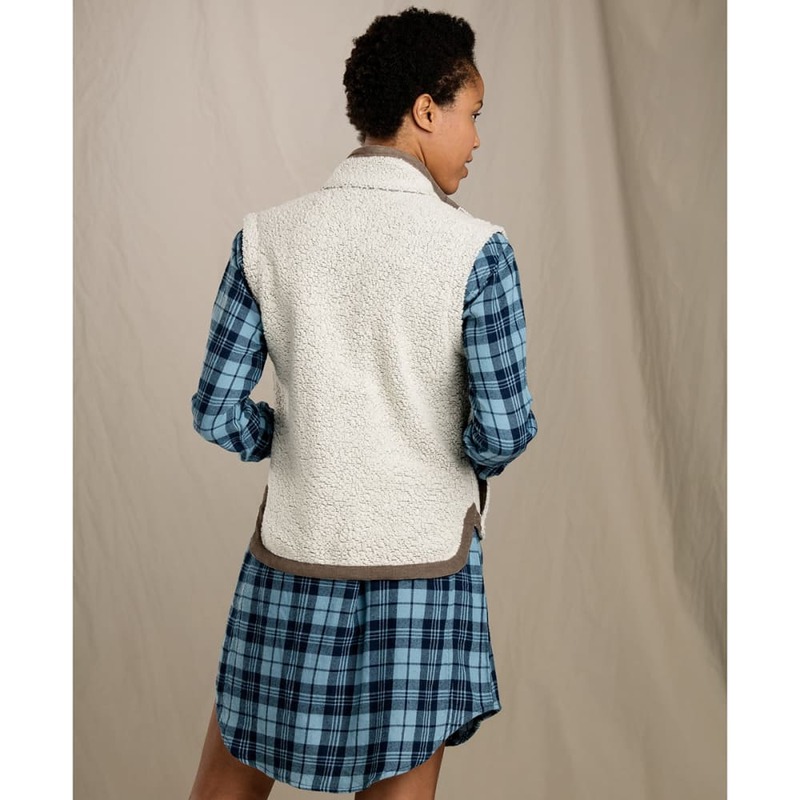 This Sherpa fleece is on one side classic shearling, and the other lightly brushed jersey. Mille grazie!